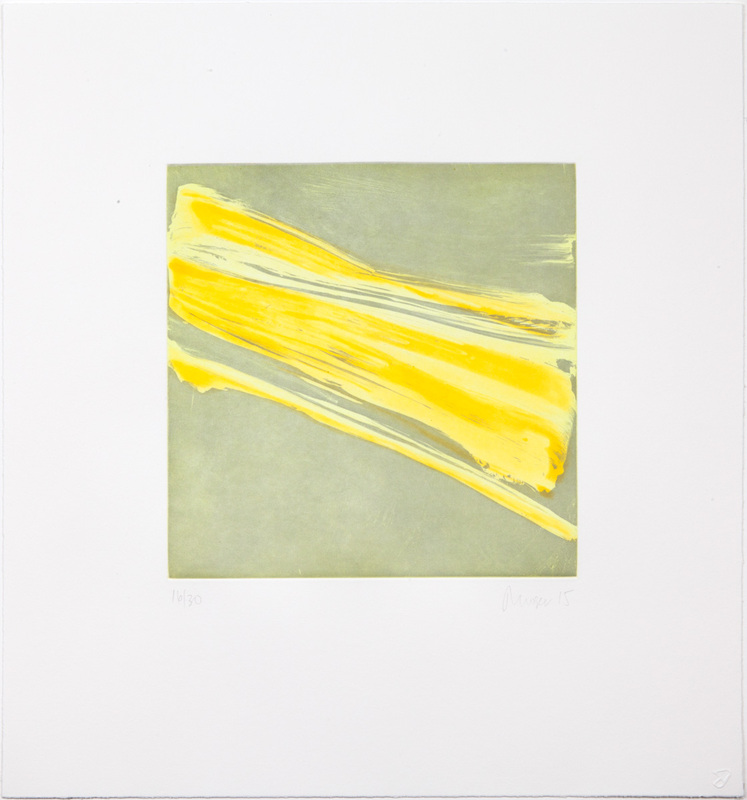 Wingate Studio is pleased to present three color etchings by Jill Moser. 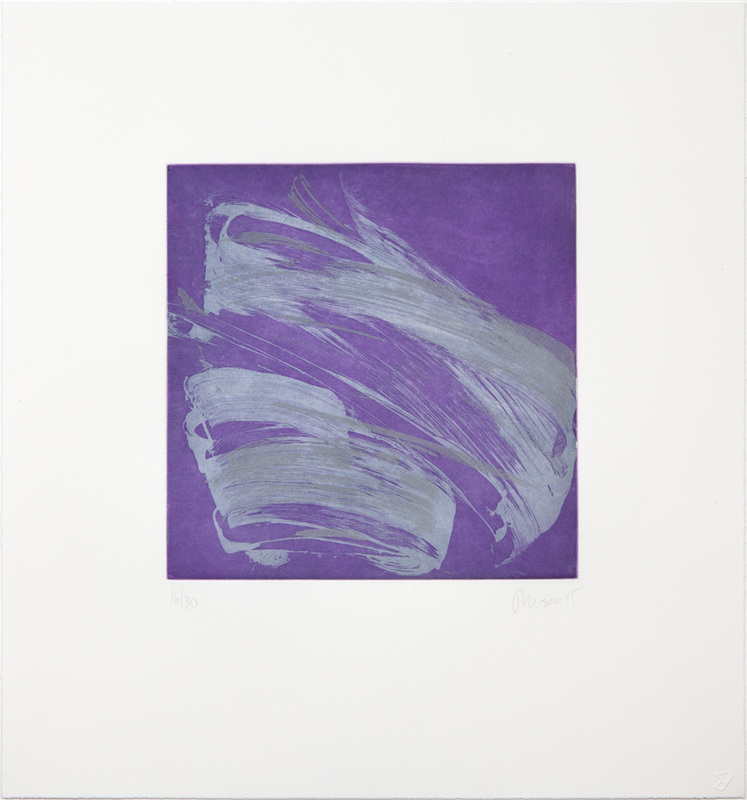 The prints were created over the course of five days at Wingate Studio in early March 2015 using a three plate aquatint etching with soap ground and sugar lift. Plate size 10 x 10 inches, paper size 18 x 19 inches in an edition of 30. 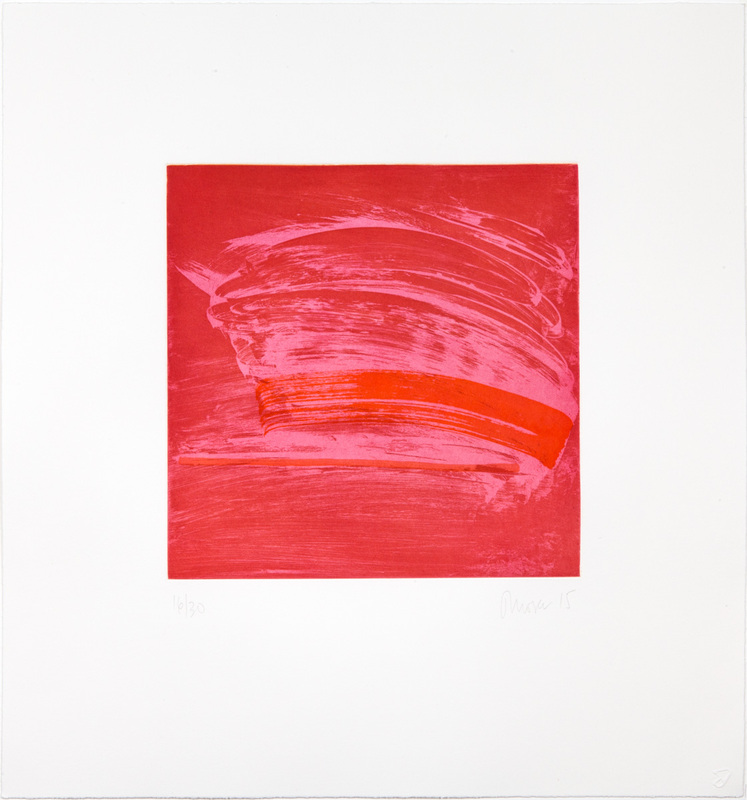 Jill Moser is a New York-based abstract painter whose practice often explores the dialogue between painting and printmaking. Moser’s vocabulary is rooted in gestural line that at first appears spontaneous and immediate, but belies the manipulation, blotting, redrawing, and fixing that are at its core. Her gestural brushstrokes seem at once violent and poetic, capturing the energy and gesture of her signature calligraphic line caught and held in a quiet equilibrium. These new prints are a radical departure for Moser in her use of a highly charged, vibrantly saturated color palette that reverses the figure/ground relationship with which she typically works. While at Wingate, the artist developed a process in which she painted directly on the copper plate with white ground, allowing her time to work, look, and rework by wiping away areas, diluting the ground with water, over-painting, and sculpting this paste-like mixture. When the plate was etched and printed, the white ground brushstrokes became negative open space. By printing a flat color plate beneath the form, Moser was able to explore the possibilities for altering positive/negative space, balancing the form in a tight relationship with the space it inhabits. Other marks and lines were then added, using spit bite and sugar lift ground – both painterly techniques – to expand on and reinforce the composition. Jill Moser lives and works in New York City. She has exhibited since the 1980’s in galleries and museums throughout the United States and Europe. 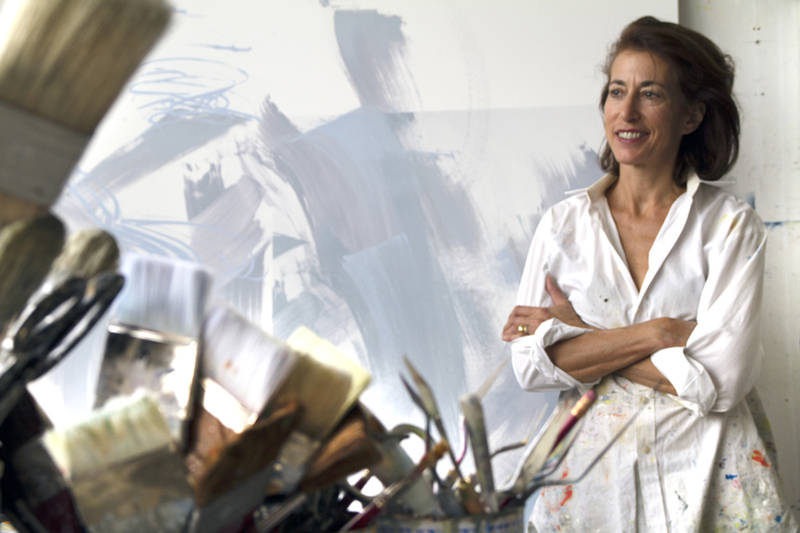 She has had recent solo exhibitions at Lennon Weinberg Inc. (New York, NY), Heather Gaudio (New Canaan, CT), Reynolds Gallery (Richmond, VA), Bentley Gallery (Phoenix, AZ), and The Chamber Music Society of Lincoln Center (New York, NY). Her paintings, drawings, and prints are in the permanent collections of many museums including The Metropolitan Museum of Art, The Museum of Modern Art, The Museum of Fine Arts Houston, The National Gallery of Art, Yale University Art Gallery, Fogg Art Museum, and The National Library of France. She has taught at several universities including Princeton University and Virginia Commonwealth University. Moser has been collaborating with master printers for over eleven years. She is represented by Lennon, Weinberg, Inc. in NYC.